Thank you for entrusting us with the care of your body! Physical discomfort is often connected to mental, emotional or spiritual imbalance. We now offer ENERGY MPOWERMENT, an array of services that care for you on these levels as well as the physical. Learn more about ENERGY MPOWERMENT sessions and modalities below, or contact Rebecca Stone at 347-283-5854 or sunlightofthespirit000@gmail.com to find out which modality best meets your needs. Compassionate Energy Integration is Rebecca Stone’s signature offering. Combining her intuitive gifts with extensive formal training, these sessions create a customized healing strategy based on clients’ unique intentions. Modalities include reiki, breathwork, chakra realignment, thetahealing, crystal therapy, shamanic journeying and extractions, past lives/Akashic records, toning/chanting, channeling and psychic-mediumship. Regardless of the modalities used these sessions focus on integrating your body-mind-spirit, increasing your capacity for self-acceptance and joy. Clients leave peaceful with their intentions complete. Reiki comes from the Japanese word (Rei) which means “Universal Life” and (Ki) which means “Energy”. It is a subtle and effective form of energywork using spiritually guided life force energy. Reiki Practitioners understand that everyone has the ability to connect with their own healing energy, and through training practitioners learn to ‘switch on’ this healing energy in others. In its natural state, a person’s “ki” or energy is strong and free flowing. When energy becomes weak or blocked it often manifests as physical or emotional imbalance. 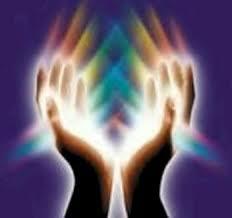 Reiki sessions promote relaxation and facilitate healing on all levels – physical, mental, emotional and spiritual. Thetahealing is a mind/body technique that uses the energy that flows through all things to produce instantaneous and permanent change at the cellular level. In many cases our belief systems create our current environment, including our daily patterns, health, wealth, and relationships. These limiting or harmful beliefs are often rooted during childhood, passed down from our ancestors, or absorbed from group consciousness. Thetahealing changes the belief systems creating these issues, transforming the body, mind and spirit – bringing balance, connection and healing. During a Thetaheaing session we discuss your limiting beliefs and how they are manifesting in your life. We then use a meditation technique to enter the theta brainwave, where cellular transformation can occur. After using Thetahealing to change your limiting beliefs we will muscle-test to confirm their transformation. Breathwork is a powerful tool for integrating your energy system. It connects you more deeply with stuck or split-off parts of yourself, unraveling blocks and facilitating a return to equilibrium. If you are block-free (lucky you!) it is still useful, as it facilitates expansion of your energy field and increases mental and intuitive clarity. With breathwork you control your own edge, and are free to have a deep or more gentle experience. MPower offers two types of breathwork, clarity and BBTRS. Clarity breathwork focuses on increasing the flow of oxygen to your brain, facilitating an increased flow of energy and an expansion of consciousness. Clarity breathwork is a gentle, circular rhythm of breath similar to rebirthing breathwork. It promotes visions, emotional breakthroughs and provides access to an altered state of consciousness. Clients often report a feeling of release and a sensation of lightness at the end of a session. You will leave a clarity breathwork session feeling relaxed, connected to your body and in touch with your emotions. BBTRS breathwork focuses on releasing trauma stored in the body and facilitates the integration of split-off areas through increased energy flow. BBTRS provides clients with a tool to stay present in their bodies through strong emotions, flashbacks and the fight-or-flight response. BBTRS uses the breathing rhythm to create distance between the client and their traumatic experience so the trauma can release from the body without the mind fixating on the ‘story’ of the trauma. Research has shown that after BBTRS sessions, the over-activated nervous systems of trauma survivors are able to recalibrate, facilitating healing and eliminating the extra tension and stress caused by their hyperactivity. Nondual Kabbalistic Healing is a revolutionary new healing paradigm, based on the direct transmission of Jason Shulman’s profound realization of the nondual nature of Reality. NKH is a healing of fractured consciousness, which is responsible for fracturing on all levels of being. It begins with deep acceptance and compassion for the human being — and the understanding that all of our difficulties have a single origin, the sense of being a separate ego self only and not in relationship to the Whole of Reality. NKH directly addresses this sense of alienation from ourselves, others and all of life — and in this, the body, mind and spirit heal. These healings support in a very deep and profound way the healing of our historical pain and the ability to be in relationship with all of reality with greater clarity and kindness. They deepen our own connection to sanity, to health and to surrender to God. They help us to be great and humble, the best of what it means to be human. These healings are for everyone who has the longing and desire to live an authentic life and to find true joy. Imagine that you could improve your physical health and address depression, anxiety or addiction. Imagine that you could dramatically decrease negative thoughts and stress. Imagine that you could create the platform for lasting change in your life. It is all possible, with Harmonyum Healing Treatments. A holistic, physical and emotional healing modality, Harmonyum is used in private practices, wellness centers and addiction recovery facilities. This gentle, relaxing, non-invasive hand’s-on modality sends healing to the source of the nervous system, brain and heart and is safe to use for any health condition with no side effects or risk of pharmaceutical interactions. Harmonyum provides a powerful complementary treatment strategy for patients who may be undergoing other medical therapies. It is excellent for pain, insomnia, hormone imbalance, stress and anxiety, learning disorders, fertility, heart disease and immune system challenges. Harmonyum strengthens and balances the autonomous nervous system, thereby promoting the body’s capacity to heal itself and slow the aging process.